Located near Thiruvenkadu (Budhan Sthala) about 15kms from Sirkazhi off the Poompuhar road, legend has it that Arjuna reached this place while on a pilgrimage. Feeling thirsty after a long trip, he could not find water anywhere. Seeing Sage Agastya undertaking penance at this place, he was hopeful that he would be able to quench his thirst at the ashram but to his dismay he found that the Sage’s Kamandala too had gone dry. As instructed by Parthasarathy, Arjuna struck the ground with the sword and to his surprise water poured out of that place helping him quench his thirst. 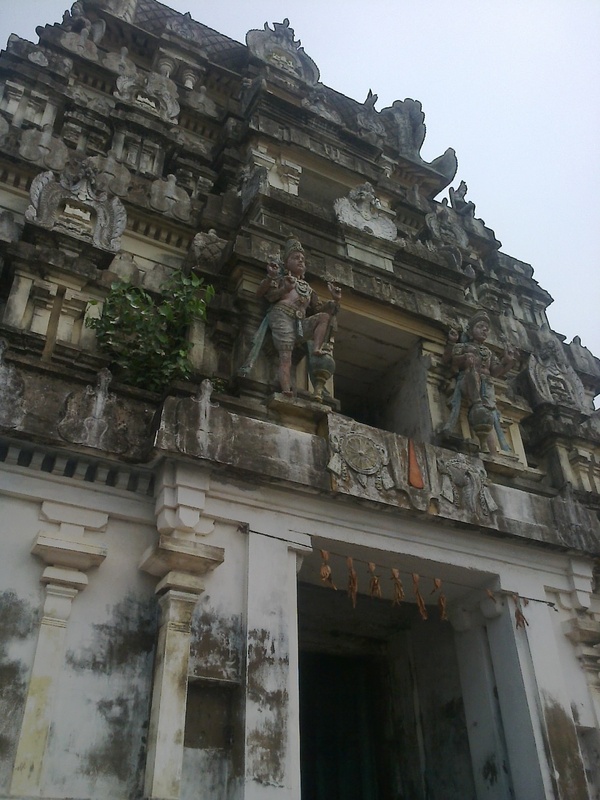 To mark this event, Arjuna is seen here at this Divya Desam with a sword. Since Arjuna had this Knowledge initiation here and played the role of a student, this temple came to be known after him as ‘Parthan Palli’. Of the 108 Divyadesas Parthanpalli is one. 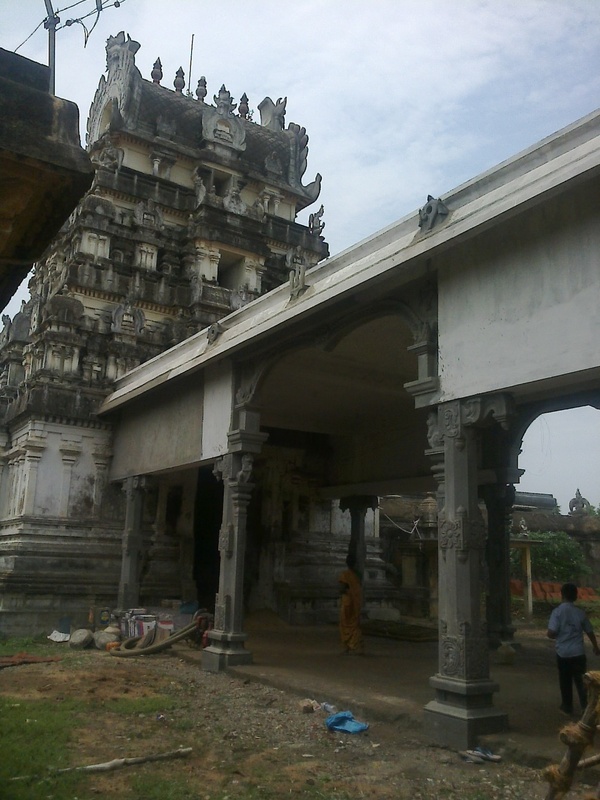 The speciality of this temple is that Sri Rama appears here with two consorts, that could not be seen in other temples. Emperor Dasaratha performed the Aswamedha Yagna praying to Lord Narayana for children. He was sure that Lord Narayana himself would be his son and wanted to see the gift in advance. Lord Narayana appeared before Dasaratha with his two consorts. As it would not be possible to have such a dharsan during the Ramavatha period, Dasaratha was greatly delighted. This rare scene is sculpted and kept in this temple. The Lord is just stepping out of the Yaga Gunda with his consorts. This is a very rare sculpture. Arjuna has also a shrine here. The tower of the temple is 75 feet tall in three tiers with a majestic appearance. The procession deity Lord Parthasarathy holds a sword in the hand. Kolavalli Rama is next to the procession deity holding a bow. 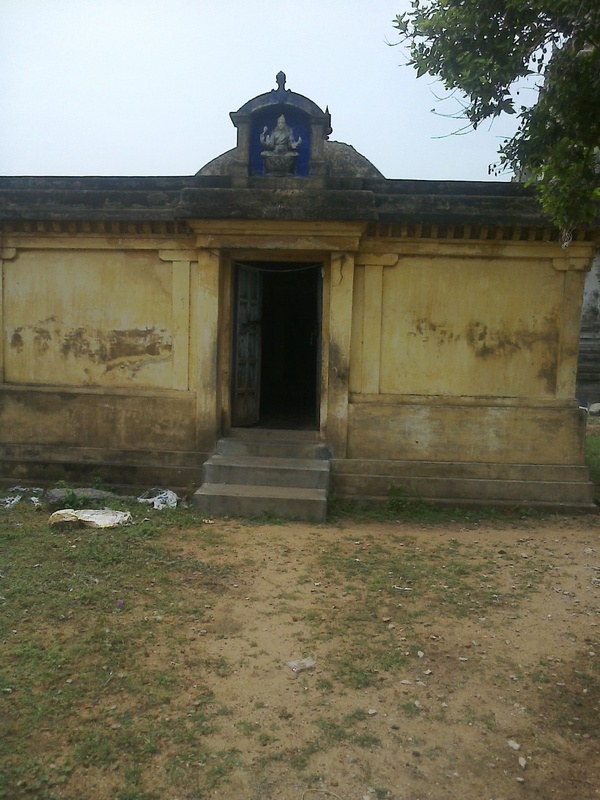 Parthanpalli (Thirunangoor) is 11 Kms from Sirkali in Nagapattinam district. Buses are available from Sirkali.